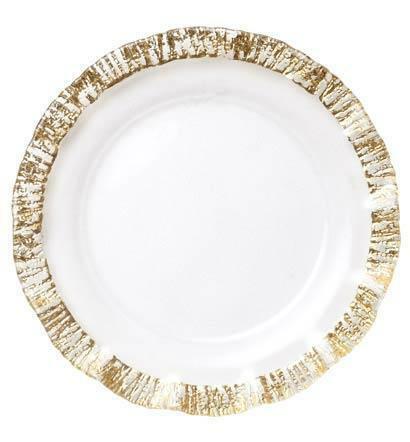 Romantic ruffles, encircling the clear glass service plate/charger in radiant gold, will make a luxurious table setting. 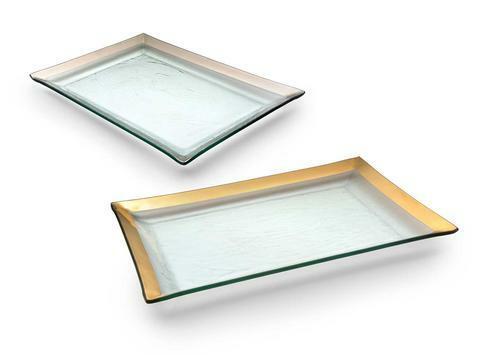 Use as a serving platter, large dinner plate or add drama to your table as a charger that will frame your place settings. Made in Turkey. Handwash only please!